Warning! If you have the emotional age of a six-year-old, or younger, you should stop reading this article RIGHT NOW because it reveals an important secret about Santa Claus. Santa Claus does not, in reality, give a lump of coal to any child on the negative side of his Naughty & Nice list. That is a myth. …disappointment when the ‘perfect’ holiday fails to materialize. …greed when the number of gifts is more important than the thought that should count. … covetness as a sibling, or anyone else worthy of gift-oneupmanship, fares better in the Christmas lotto. …aggravation with a sibling or parent, or other wayward relative, who conspires at every holiday gathering to provoke discord. …jealousy of anyone who is loved unconditionally, as evidenced by the gifts they receive. …discontent that Christmas no longer holds its childlike charm. …resentment when an object of obvious and specific desire is found absent under the tree; whether or not such desire was deserved, much less practicable or realistic. …bitterness that any or all of the preceding have had a cumulative effect over the years, hence a Scrooge ethos. The list could go on. The lump of coal is generally any negative emotional state arising from the events that comprise, surround or infiltrate Christmas, a season based on hope, anticipation and joy. In some ways it has nothing to do with Christmas. Keep in mind, Santa Claus watches children’s behavior throughout the year to determine the nature of the gift they are to receive Christmas morning. Disappointment, greed and covetness are not Christmas ‘gifts’, as in a one-day phenomenon. 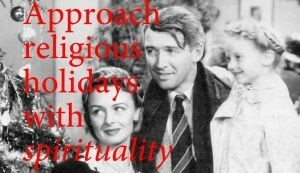 No, aggravation, jealousy and discontent simply reflect one’s behaviors in the 364 days between each Christmas. To avoid the lump of coal on Christmas morning requires a conscious choice throughout the bulk of the year. Imagine, instead, desirable gifts such as thankfulness, graciousness, a conciliatory spirit, generosity, contentment and happiness. there is a popular notion that Santa Claus enlists the aid of children’s parents, which is why they sometimes get caught placing Santa’s presents under the tree. But that is only part of the story. The reality is that Santa enlists the aid of all sorts of people. 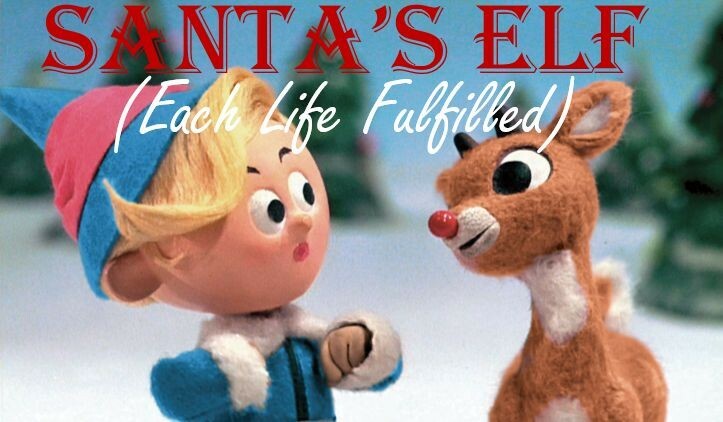 His ‘elves’, as they are commonly referred to, are part of the Santa ELF initiative, standing for Each Life Fulfilled. Elves are recognizable by their willingness to share positive emotional states. They do this throughout the year, not just in preparation for Christmas, but because a positive emotional state is a gift that keeps giving. These are people you really want to surround yourself with. In effect, that’s how you build a beautiful gift to replace that ugly lump. If you are an elf yourself, thank you. If a lump of coal has you worried this Christmas, Dr. Kweethai can help.